Calling all active ladies and #fitmoms! Mark your calendars for Friday, March 24 from 6:00 to 7:00 pm for a private after hours workout at Orangetheory Fitness with Lake Country Family Fun! Orangetheory Fitness in Delafield is located between Kohl’s and Sentry in the Nagawaukee Shopping Center at the intersection of I-94 and Hwy 83. This special class can only accommodate 24 ladies, so register now for this energizing ladies night out! Check out the details below! The physiological theory behind the Orangetheory workout is known as “Excess Post-Exercise Oxygen Consumption,” or EPOC. By providing you with a heart-rate monitor and POD, we can monitor your 5-zone interval training sessions that we call the Orange 60. During the 60-minute workout, you will perform multiple intervals designed to produce 12 to 20 minutes of training at 84% or higher of your maximum heart rate, which translates to Zones 4/5. This program design produces workout “afterburn” effect, which is an increased metabolic rate for 24 to 36 hours after the workout. When combining the amazing workout with EPOC, our clients burn an average of 500 to 1000 calories. The Orangetheory workout will produce increased muscle Endurance, Strength and Power and if desired, tremendous weight loss. With energetic music, a talented group of fitness coaches and a high-energy studio, you have the recipe for a workout that produces BIG and LASTING results. We will be engaging in Orangetheory Fitness’ one hour class full body workout with a focus on cardio, strength and power. The class is heart rate based interval training that is proven to burn more calories post-workout. Each person will get a loaned heart rate monitor and their heart rate results will show in real time on large studio TVs. We train in 5 heart rate zones with the guidance of a certified fitness coach that will prevent you from over or under training. Please arrive at 5:30 pm to be set up in the system with the loaner heart rate monitor. Members of all athletic abilities workout in their studio each and every day. Whether you are a beginner (like me) or a professional athlete, Orangetheory Fitness has modified forms of each exercise they offer. Their state of the art equipment is patented and specifically designed to allow you great recovery. Please come dressed in exercise/athletic attire, including athletic shoes. How much does this private after hours class cost? Orangetheory Fitness has partnered with Lake Country Family Fun to bring you this high intensity class for only $10! In addition to the guided workout, all participants will be going home with an Orangetheory Fitness goodie bag with a towel, party cup, and drawstring bag. Please bring $10 cash and pay in person on the day of the class. Please fill out the form below. Registration is required to appropriately plan for the evening. Registration is limited to the first 24 ladies that register. Email entered here will only be used to remind registered attendees of the event. 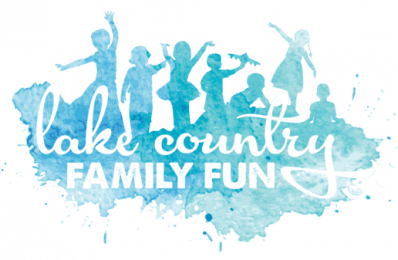 Please also fill out the linked client intake form below and email to lakecountryfamilyfun @ gmail (dot) com by Thursday, March 23. Disclaimer: Lake Country Family Fun is not responsible for any injuries that may occur at this event. Please consult your doctor prior to engaging in any exercise program. As the mother of two young children, Erin, takes an active role in the community. She is ever on the go with her littles in tow.